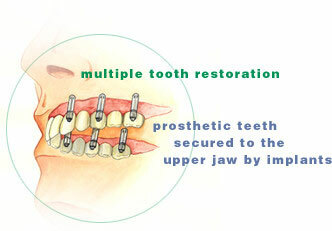 Dr. Kohlhorst has placed dental implants for over 19 years. One of his highest priorities is to ensure that you completely understand what dental implants are and all of your treatment options before proceeding. You can be assured he will take the time to answer all of your questions. Traditionally, if you were missing a tooth or if one needed to be extracted, the healthy teeth on either side of the missing tooth would be cut down and the whole thing replaced with a three-crown "bridge".